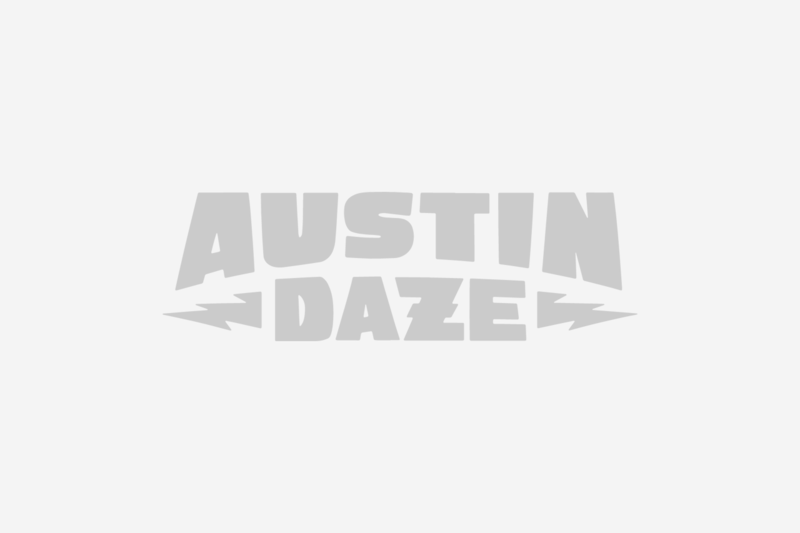 [fa:p:id=1571521240,j=r,s=s,l=p]AUSTIN DAZE: How did you get started in the music business? GRAHAM WILLIAMS: I was into music from a young age. I started playing in bands when I was a kid. In high school we had a band and it’s not like clubs will book your band when you are a kid–you can’t get a show at a bar as a 14 year old playing punk rock–so we would put on our own shows. We’d rent out VFW Halls and warehouses and find old abandoned houses that were in a bad neighborhood. That’s just how we did shows. 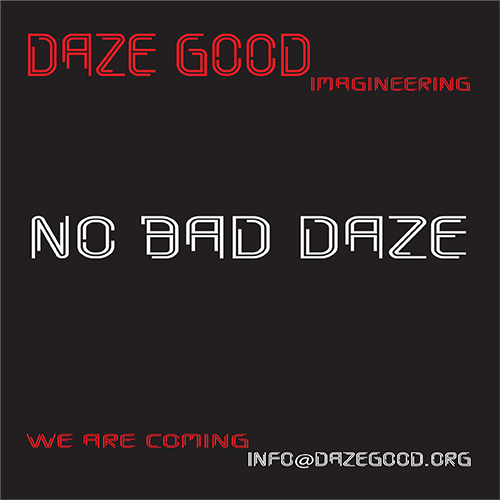 We printed out flyers and walked all over and pasted them all over town. We would get all of our friends bands together and just put on shows. I did that forever—all through high school. Every once in awhile you would get lucky as you got more established and get to play a club but not that often. So I did that for years. Just to enjoy it, not to make money. I didn’t know there was a “music business”. For me it was, I’ll serve food in the cafeteria or work at a gas station and then on the weekends I’ll play music—there was never any idea of it being a job. When I was a little older, I want to say 19, I started working security at Emo’s and then I left. And then the guy who was booking the shows there was leaving and they needed somebody to take over and they knew I booked shows, for enjoyment, around town and because of that I just kind of fell into place working there. And as I started working at the club I learned more about the business side of booking; about how to be into music and do what you do because you enjoy it but also making it financially viable too. I was there for a long time–almost 9 years–so eventually I branched out to do my own thing. After working for someone else for that long I figured I should try and do something for myself. AD: What drives to stay on as a booker? I know it can be a thankless job that is easy to be the scapegoat when things don’t work out. GW: I guess I like the music enough, I enjoy what I do enough, and I care more about that part of it than I do the ego or the financial aspect. There’s always a lot of drama. Austin is very competitive because there are a lot of promoters and a lot of clubs. It’s such a big music town and there are so many bands coming through but at the same time only so much of an audience. We don’t live in LA or New York where there are millions of people. There are only so many people that want to see bands so people are really competitive about shows. That’s a whole other side of it that is there. But at the same time, the competition is what makes the shows better. I mean people work harder to get better bands to play so more people show up and the bands are happier. There’s a lot of work that goes along with it and you just have to want to do it. If you are not playing music or doing art or whatever it is that you do, if you don’t enjoy what you do, why do it? And if you do have some crappy nine to five job hopefully you have something on the weekends. Luckily I enjoy music, and I love Austin so I’m able to work within something I enjoy. AD: Tell us about Transmission Entertainment. GW: Well it started off as a concept. I’ve been at the same club for a long time and because I was on salary I couldn’t book other shows so it’s been really limiting. Especially since I started doing the Fun, Fun, Fun Festival, I knew that I just wanted to do more and I knew that working for someone else I could never do that. So I started kicking around the idea of starting my own thing and I ended up meeting up with a few partners who were interested in doing the same thing. Chris Butler owns Super! Alright! Media which is a production company that mainly does videos for bands–they are shooting ACL this year, or editing it or something. They do a lot of cool things with film and bring a whole new concept to it, like filming shows in HD and showing them online so you can watch bands in another town. James Moody and Michael Terrazas are great business guys and own bars downtown. We got together and it turned out that we all had the same idea and each had something different to bring to the table that the other didn’t as far as what could make this larger and more active. So we kind of built it off that idea: let’s turn this into something more than just having a blank calendar, filling it in, and hoping people show up. We wanted to promote these shows and add video and do all kinds of venues and all kinds of great bands within the spectrum of what we do stylistically. AD: Do you have a specific genre of music or style that is part of that vision? GW: A little bit. It’s mostly progressive or underground music. A lot of punk and a lot of indie rock are probably the main stuff we book. A lot of underground hip hop and DJ stuff; a lot of inventive or progressive music. That being said, we do book a lot of other stuff as well just a lot less of what some of the other promoters or agents or venues might book. They kind of have that working and I don’t know as much about it. I’m not going to promote an opera. I don’t know where in West Lake you hang up flyers. AD: What is special about Austin to you? GW: I was born and raised here. I’m one of the few people that I know that actually grew up in this town. It’s always retained this cool liberal and progressive vibe that isn’t in other towns. I love other cities—I just got back from Chicago and I’ll be going to New York and LA in the next couple of months and those towns are amazing. I think there are a lot of great cities but they are all so different. Austin only feels like Austin. You go to other towns and they say, “Oh yeah, it’s so much like Austin.” I don’t really see it. You here a lot of people say they don’t like the bigger companies coming in. I’m not really so much against it. I think you are always going to move forward and grow. As long as there is not a Wal-mart on every corner and the cool local businesses don’t fizzle out. If anything, I think the cool local businesses can benefit from Austin being such a hub of more and more people moving here and just kind of grow with it. I remember when I was in high school I was in a band and our car broke down in Houston and we ended up being in Houston for a week staying with a friend. Houston, which is f**king huge, and we’re stuck there. At night, we are like, “Where can we go eat?” Well there’s a Denny’s and an IHOP.” “You don’t have a Kerby Lane or a Magnolia or a cool all night place with really good food?” “What about movies?” “Oh, movies stop at this time–there are no late night movies. There are no cool clubs.” I remember we went to a Bookstop that had a coffee shop. I couldn’t believe we were at a Bookstop on a Friday night. In Austin there is stuff to do during the day–it’s a beautiful city–and there is a great nightlife too. You don’t really get that balance that is based around younger people that are into creative things that you do in other cities that are a lot more metropolis and a lot less organic. AD: Tell us about Fun Fun Fun Fest. GW: I started it last year. It came about because there were a bunch of bands coming through on tour and there was nowhere for them to play. I contacted every large club in town and everyone was booked that weekend in Austin. The “Music Capital of the World” and these really big bands couldn’t get a show. I had worked with Alamo Drafthouse at a few events at Waterloo Park and so we combined forces and rented out the park from the city and put this event together. The event focused on progressive, underground, alternative music. It’s a bigger spectrum than most people realize. Like last year we had Peaches and Spoon and Black Angels, stuff like that on the Indie rock stage and then 200 ft away we had Circle Jerk and more punk bands. And then we have DJs and stuff on the other stage. That music scene is a lot more incestuous than I think people realize. One of my big headliners this year is this band Murder City Devils from Seattle. They are a good example of that kind of band. The bass player is in this mellow folk band, the guitar player was in Modest Mouse, so each of them has all played different styles of music. I really wanted to showcase all the different types of styles of music under that umbrella. I think I’ve done that pretty well. AD: How many bands pay in the festival? GW: It is two days long this year and I want to say there are 75 bands this year—a lot. AD: How much of a jump is that from last year? GW: It’s a lot bigger. Last year we had over 20 bands and it was one day. This year we’ve got a lot more music and more days. One day just seems too short. GW: November 3rd and 4th. AD: So what are some of the highlights this year? GW: It’s a good mix. There are more details on the website which is funfunfunfest.com. Some of the heavier bands we’ve got are Neurosis, Murder City Devils, Against Me!—who were just on Letterman last night. Lifetime, the Sword, Sick of it All, are some really great acts. And then as far as the other stages we’ve got Cat Power, Okkervil River—who were on Conan this week too–New Pornographers, Explosions in the Sky. There is a lot of really, really good stuff and a lot of really good locals as well. So overall, I’m expecting it to be a really big event. AD: As long as you have been involved in the music business, what are some lessons you have learned? GW: I don’t know. Maybe I haven’t learned anything. My starting my own new thing was a little weird for people. But ultimately, you have to do what you do and enjoy it and do it right. 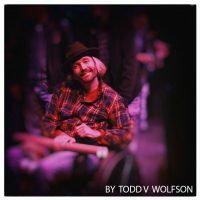 I have a good reputation for booking bands and treating everyone well for years and I’ve been doing that for so long I can’t imagine being any other way. You have to be careful not to get trapped in that sleazy side of the music business. There are tons of that in Austin; there are tons of that all over the world. It’s tough; you get caught in that whole trap. I’ve just always avoided it. It works for some people. There are some people that are hugely successful just by being total sharks but I’d rather not do it. If I have to stoop to that level and lie to people, why am I doing it? I’ll work at a grocery store again. I’d rather do that than be part of the drama. I just do what I do well and hopefully it pays off. GW: Not really. Thanks for the interview. It’s awesome that you guys are here doing what you are doing.